**Don't take an illegal taxi! People will offer you rides on the bridge to the taxi queue and the guards will do nothing. They are *not* dangerous, and it is a perfectly acceptable alternative to a taxi *if* you speak enough Chinese to negotiate and know the proper price. They will often charge wide-eyed foreigners 400RMB, more than 10 times the proper price! Just stand in the taxi queue. 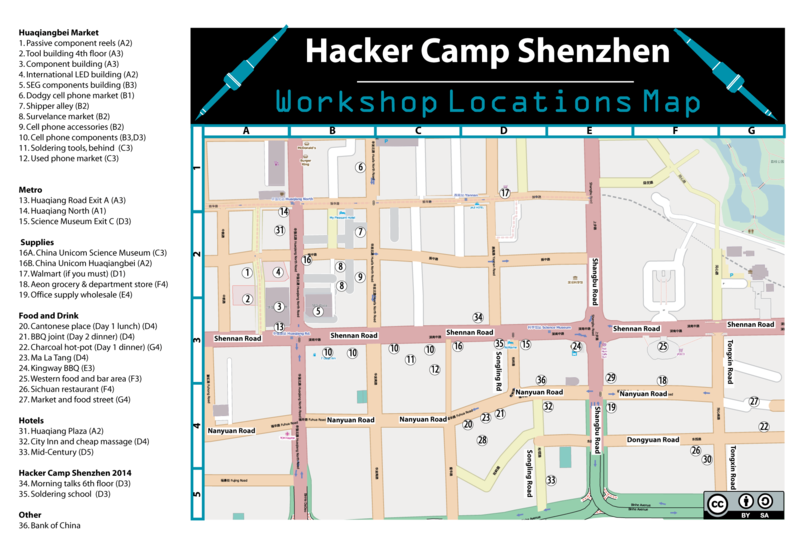 *Note: there are services that bring you to an underground park in the middle of Shenzhen, and give you a taxi ride to your final destination from there. They cost a bit more, but it's very convenient, and you cross the border on the limo, you don't have to get off unless they stop you for a random search. Be careful not to bring food (esp. cheese) or other prohibited items. **Don't take an illegal taxi! People will offer you rides exiting the boarder crossing and the guards will do nothing (or participate). They are *not* dangerous, and it is a perfectly acceptable alternative to a taxi *if* you speak enough Chinese to negotiate and know the proper price. They will often charge wide-eyed foreigners 400RMB, more than 10 times the proper price! Just take the metro or stand in the taxi queue. Don't take an illegal taxi! People will offer you rides on the bridge to the taxi queue and the guards will do nothing. They are *not* dangerous, and it is a perfectly acceptable alternative to a taxi *if* you speak enough Chinese to negotiate and know the proper price. They will often charge wide-eyed foreigners 400RMB, more than 10 times the proper price! Just stand in the taxi queue. Don't take an illegal taxi! People will offer you rides exiting the boarder crossing and the guards will do nothing (or participate). They are *not* dangerous, and it is a perfectly acceptable alternative to a taxi *if* you speak enough Chinese to negotiate and know the proper price. They will often charge wide-eyed foreigners 400RMB, more than 10 times the proper price! Just take the metro or stand in the taxi queue.